Glaucoma robs you of your vision. Cannabis – also called marijuana – is an option for improving quality of life when you have glaucoma. This eye disease is one of the qualifying conditions for a cannabis card in Florida. To learn more, and to arrange an eligibility evaluation, please call Access Marijuana RX at 727-209-5470. Glaucoma damages the optic nerve of your eye. It typically arises when there is increased eye pressure caused by a buildup of fluid. This fluid is called aqueous humor, and normally it drains from your eye. When it does not drain properly, it causes increased intraocular pressure which damages the optic nerve. It is progressive and causes more damage over time. The optic nerve is essentially what sends images to your brain. Glaucoma that advances untreated can lead to total blindness. The most common treatments are eye drops and surgery aimed at lowered intraocular pressure. Marijuana lowers the pressure in your eyes, at least for several hours. This finding dates back to landmark studies conducted in the 1970s. In those studies, the participants smoked marijuana. Today in Florida, legal medicinal uses of marijuana include tinctures, oils, pills, vaping and edibles. Today's medical marijuana also allows for choosing a CBD-rich product, which, unlike THC, is not associated with creating a high. Some patients with glaucoma do not want to feel high, dizzy or disoriented. Talk to our doctors about your expectations. Marijuana also lowers blood pressure. Some experts believe this means marijuana reduces the blood flow to the optic nerves, which could potentially compound the problem of glaucoma. More clinical research is needed to examine the pros and cons of marijuana for this eye disease, but many people have found that cannabis temporarily reduces eye pressure. It may be used in combination with eye drops and other glaucoma treatments. Our physicians will discuss all of your current treatments with you and help you decide the best course of action. People with advanced glaucoma may experience nausea, pain and poor appetite. Medical marijuana can help with these side effects. The only way to know if it is a beneficial option for you is to visit the doctors at Access Marijuana RX. We are committed to the optimal well-being of each of our patients. Once we learn more about your glaucoma, we can discuss the pros and cons of using cannabis. If our doctors decide to recommend medical marijuana for you, you will be entered into the state's database and should receive your I.D. soon after. Our doctors only recommend marijuana if it will be beneficial and after careful consideration of how it will affect your glaucoma. 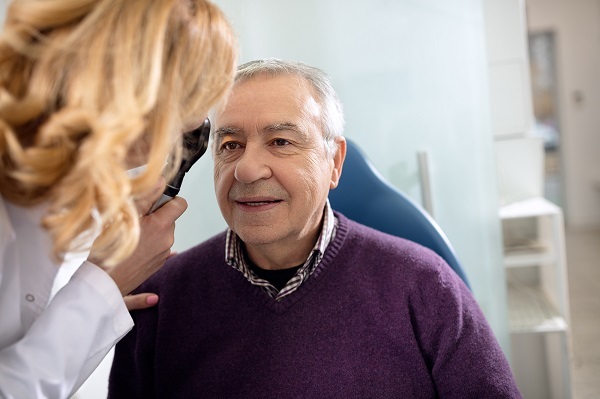 If you are trying to obtain a medical marijuana card for glaucoma in Florida, the first step is to arrange an eligibility evaluation with a state-certified physician. Dr. Lora Brown and Dr. Michael MacMillan proudly serve the areas of Tampa, St. Petersburg and all of the surrounding cities. To schedule your appointment at Access Marijuana RX, please call our staff at 727-209-5470.